Fortunately, luxury rentals and holiday apartments in Malta are situated near museums and other cultural destinations throughout the country’s three islands. Malta’s capital, Valletta, is home to the country’s premiere visual arts museum. Located in an historic palace, the National Museum of Fine Arts houses major works by artists from Malta and around the world. Curated since 1923, the museum’s exhibits feature paintings, sculptures, furniture, silverware, and even an eighteenth century High Baroque staircase. The National Museum of Fine Arts is also a popular venue for events, with the surrounding area being a popular destination for anyone who loves cafés and wine bars. Thinking of vacationing in Gozo or simply taking a short trip to the second largest island of Malta? You will find several museums to choose from, such as the Gozo Museum of Archaeology and the Folklore Museum. Another interesting place of note is the Old Prison, which is located in Victoria, the capital city of Gozo. Built in the sixteenth century, the prison was in use until the 1960s, and it is best known for the graffiti and etchings on its many limestone cell walls. The collection of graffiti is considered the largest in the Maltese Islands, offering an interesting glimpse into the lives (and art) of the prison’s inmates over the centuries, most of whom were illiterate. Whether you have children or you are simply a child at heart, consider a trip to the Playmobil FunPark in Ħal Far near the southern tip of Malta. Like Playmobil FunParks in Germany and France, visitors can experience life-sized toy models in several different themed areas, as well as shops, cafeterias, and craft workshops. There is even a 45-minute tour of the Playmobil factory. The park is located just five kilometers from Malta International Airport—not a bad thing when looking for apartment rentals in the area! You might think that Miami is all about glitz and glamour and that you need a big budget to enjoy your time there. However, there are plenty of free activities and attractions that you can visit, leaving you with more money to spend on souvenirs. Check out the cheap apartments on offer in the city, book yourself in for a few nights, and then work your way through some of these ideas. The fabulous beaches that fill the coastline are one of Miami’s biggest draws. There are plenty of beaches around to satisfy all tastes, from family-friendly areas to party hotspots and nature reserves to water sports zones, and all of them can be enjoyed for free. A trip to one of the many museums and galleries in Miami might not be at the top of your to-do list, but there are some fascinating sights to see and many of them have free admission year-round or on select days. They include the MDC Museum and Galleries of Art and Design, the Bay of Pigs Museum, and the Patricia and Phillip Frost Art Museum. Throughout the year, Miami plays host to a variety of events and festivals, and some of the attractions are free to enter. You can take part in a celebration of all things Latin at the Carnaval on the Mile, celebrate the 4th of July Miami-style, or appreciate the culture at the city’s Art Deco Weekend. The Rio Olympics are just a year away! With just a year to go until the 2016 Olympics begin in Rio de Janeiro, sports enthusiasts are starting to get excited about the event. Rio has plenty to offer tourists, whether you’re visiting for the Olympics or just looking to book one of the great vacation rentals available in the city. This is the world’s largest urban forest, and it has miles of trails just waiting for you to explore. You can see an amazing collection of fauna and flora and enjoy amazing views of Rio. 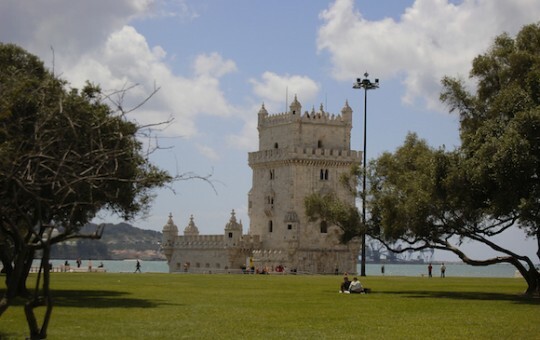 This was created in 1808 by a future Portuguese king and is now a UNESCO biosphere reserve. It contains rare varieties of plants and flowers and is a fantastic attraction for all the family. You’ll even have a chance to see the parakeets and monkeys up in the trees. This is a must for soccer fans, and it provides a unique experience for everyone. This is one of the world’s most famous sporting stadiums and it lets you see the true passion of the Brazilian supporters, including the banners, fireworks, and drums. Rio has many museums and other cultural attractions to explore while you’re visiting the city. This includes a fantastic array of art galleries, such as the National Museum of Fine Arts, the Art Museum of Rio, and the Museum of Modern Art. Your tour of Europe will be incomplete if you do not visit beautiful Scotland. Edinburgh, the Scottish capital, is often called the “Athens of the North”. The city features a number of neo-classical architectural features, and there are activities to suit all ages and tastes. Tourism in Edinburgh peaks during the summer and early autumn months due to the many annual events hosted by the city. Among these are the famed Royal Military Tattoo, Art, Jazz & Blues, and International Film Festivals. Known for its many festivals, Edinburgh also hosts several celebrations during the rest of the year, including the International Science and the Scottish International Storytelling Festivals. If you plan to visit during the winter holidays, make sure to join in Edinburgh’s famous four-day Hogmanay/New Year’s celebration. Art lovers will find an eclectic variety of museums within Edinburgh’s vibrant city center. Visit the National Museum of Scotland or the Royal Yacht Britannia. Alternatively, check out the Museum of Edinburgh (formerly Huntly House), the Museum of Childhood, or the artwork at 28 Charlotte Square. Edinburgh has a fascinating history, including the shocking Burke and Hare murders in 1828, and the myriad of ghost stories embedded within Scottish culture. Travel around Edinburgh by bus, cycle, chauffeured car, or guided tour to explore the many parks and gardens of secret Edinburgh. No visit to Scotland is complete without spending some time touring its legendary countryside. Visit the beautiful lochs, look out for the infamous Nessie in Loch Ness or bask in the beauty of the Angus Glens. You should also explore the Highlands with its vast areas of wild heather, herds of red deer and magnificent golden eagles, or pop over to the Isle of Skye or visit the Outer Hebrides for a taste of island life. You can book your vacation accommodations online, and it is easy to arrange luxury apartment rentals in a variety of different locations in and around Edinburgh. Alternatively, tourists on a budget will find short term rentals and vacation rentals easy to source in the locality.